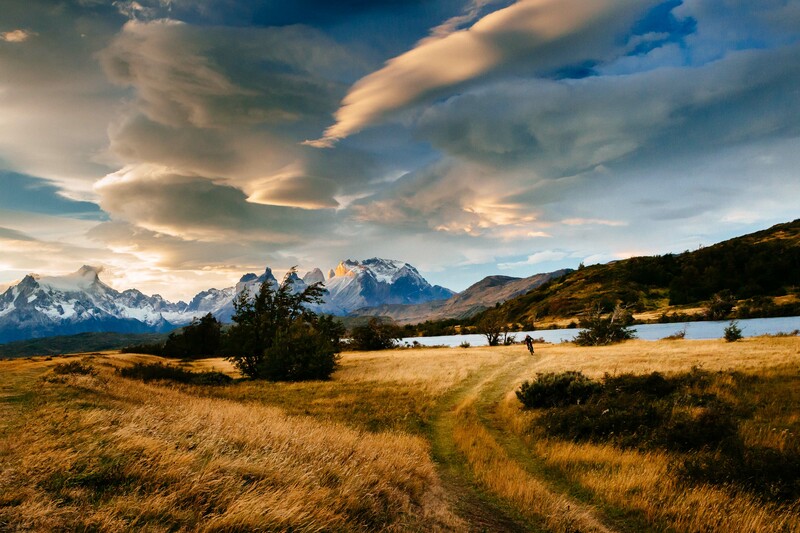 A feature article written and photographed by Jay Goodrich about mountain biking in Torres del Paine National Park in the Patagonia Region of Chile. 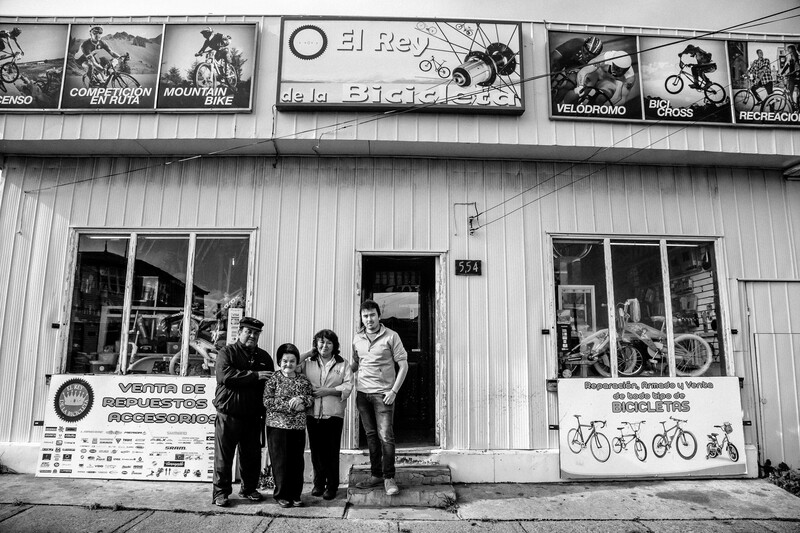 Andres Quenchugaray, Maria Verategua, Sandra Quenchugaray and Carlos Mansilla – Three generations of bike shop owners in Puerto Natales, Chile. The King of the Bicycle. 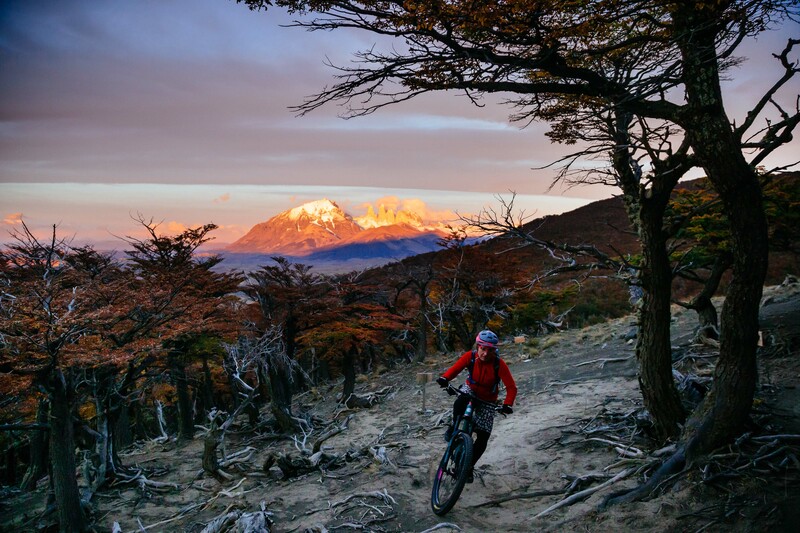 Heather Goodrich riding Las Carretas to Paine Grande in Torres del Paine National Park. Ride ends or begins at Lago Pehoe Ferry – 20km ride within park boundaries. Heather Goodrich riding the Sierra Contrera trail to Estancia Gemita. 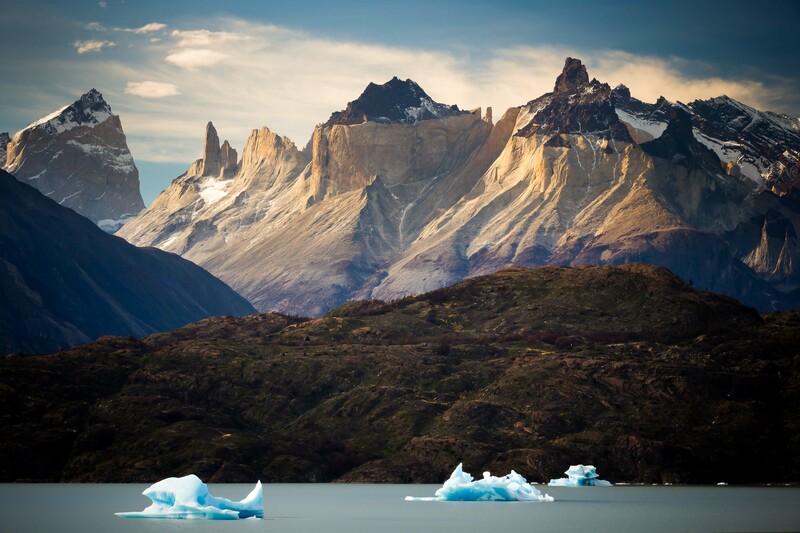 Through the lenga or beech trees of Patagonia at sunrise over the Paine Massive and Los Torres. 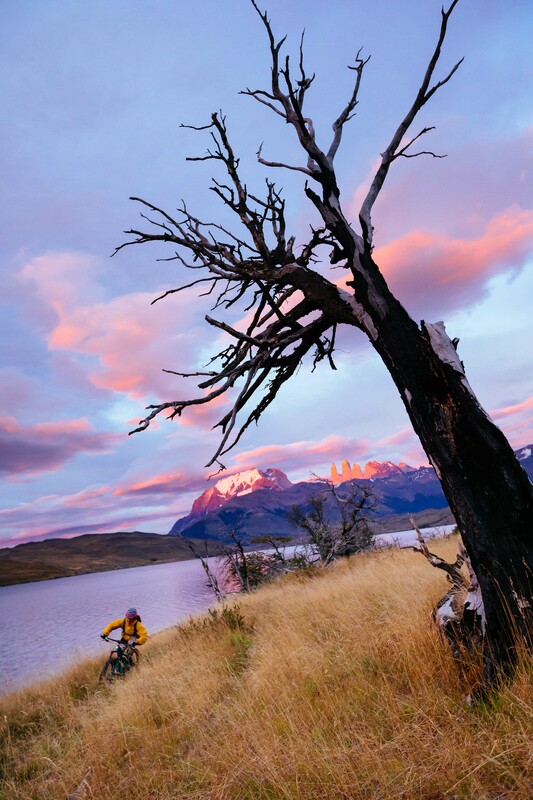 Riding Laguna Azul to Laguna Cebolla – beginning right at sunrise Los Torres and the Paine Massive in the background. 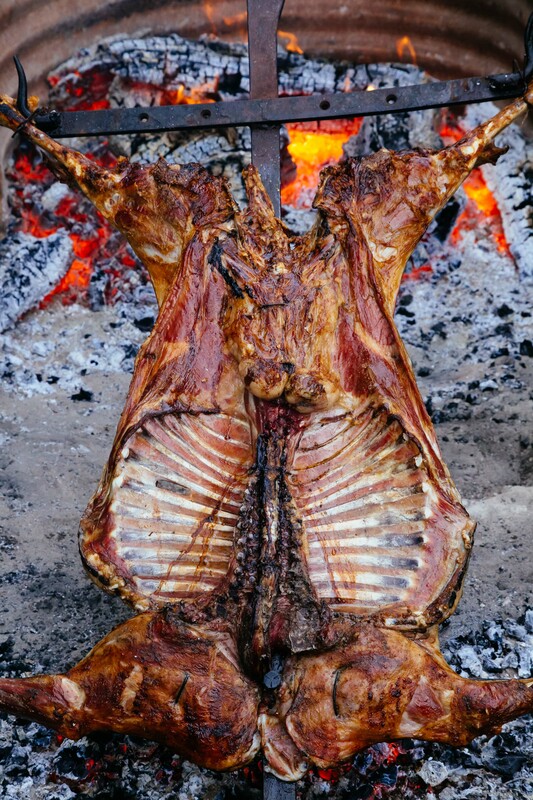 Spit Roasting Lamb over coals of the South American beech tree – Patagonian Lamb al Asador – the apparatis it is attached to is actually a religous cross and symbolizes the sacrifice that the lamb made to feed the guacho.